Christi C. Stem is a Johnston County family law attorney in Smithfield, North Carolina. Since 1993 she has been handling all aspects of family law, such as divorce, separation, custody, child support, and property division. 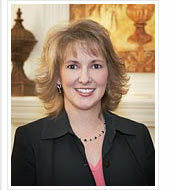 Christi C. Stem is not only a family law attorney, but is also is a DRC Certified Family Law Mediator. Attorney Stem earned her undergraduate degree from East Carolina University and her law degree from Campbell University. She has been certified by the North Carolina Dispute Resolution Committee as a Family Law Mediator and is also a member of the North Carolina Bar Association and the Johnston County Bar Association. Attorney Christi C. Stem has 23 years of experience handling all family legal matters from adoption to divorce, child support and property division. Copyright ©2019 Christi C. Stem Family Law Attorney. All Rights Reserved.